Time, a concept she feared and loved. She feared for the sake of running out of it and loved because of how it matures. Yet, the yin and yang of time keep battling her existence as, apparently, they are meant to do. However, she kept asking herself when this ever provoking tug of war will yield any clarity and comfort. And it doesn’t seem to show any signs of clarity anytime soon, to say the least. However, a universal truth holds firmly that she remained stable in the comfort of permanent confusion. As she sits and reflects upon the clashes of all the newness, she can’t help but feel torn to say the least. Just when she thought she had found calm waters, a turbulent gush of wind swept away her consciousness into a melodic dance of tyranny and love. She despised being blown away, as she had just landed on her feet not too long ago. Previously, the wind had blown her into a direction she refused to go. A place she metaphorically rampaged and struggled to resist. With her latest endeavor, however, she was flowing with the wind and decided to feel its touch, embrace its limited presence, and allowed herself to glide shamelessly along its turbulence. She was fully aware of the consequences of wind, knowing that at one point she would have to land back on her two feet, on the ground, where she was initially lifted up. Apart from all the beauty of being up in the air, she was hammered into tight corners and pricked herself with the words and circumstances she was placed in. She was constantly questioning whether she had single handedly done this to herself; knowing deep down that she allowed herself to be taken back by the wind. She knew she would be pushed and shoved, blown away and brought back. She did, however, underestimate being grounded. Standing on her two feet again she went back to her usual demeanor. Did the wind sweep away her consciousness? No. She permitted the wind to carry her away as usual, making absolutely no difference to her at all; though, she loved it this time. While up in the air she was able to acquire her much longed for bird’s eye view of the world beneath. While still high off the idea she was flying, she completely condoned reality. Her wings had been shot down on several occasions and struggled with a limp. Though she had regained flight after a surge of adrenaline had empowered her fury and rage, she decided to yet again, endure another blast from the past. She believed that karma had positioned her in a place where she had done harm before, and therefore paying for it. She was paying for it with her feelings and her emotions. Karma somehow had a complete understanding of her, and knew which arm hurt the most and grabbed her by just that. Could it just have been a self fulfilling catastrophe? Was it all a figment of her imagination and an unconscious will to suffer due to things she had done before? It was all unreal, unclear, and she with an open and wounded heart. Again. Her voyage wasn’t just about her, it was a trio. Another wind was blowing from another direction and in the direction of her. It was a breath of fresh air and flattering to her wings. She soon began to experience its deep waves of heat that had once been a cool breeze. 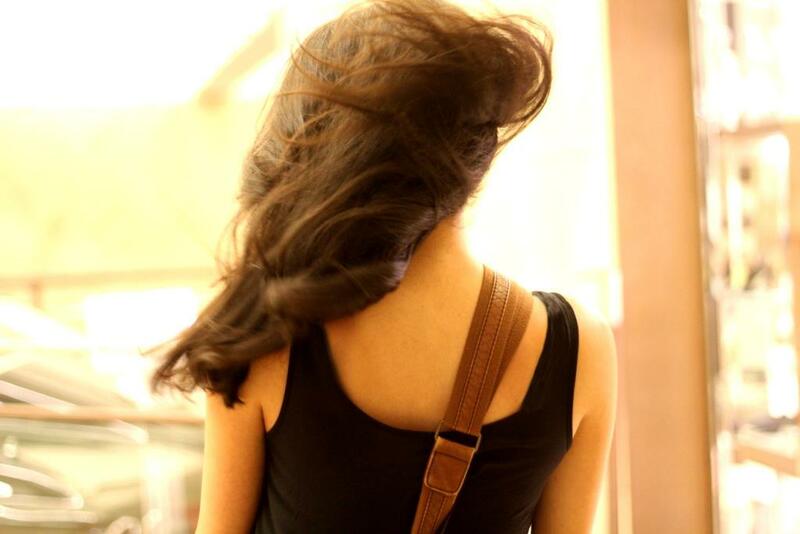 The intruding wind began to throw her off guard by sudden attacks of anger. Her beautiful feathers burned at the edges. Her personal wind wasn’t able to cool them off in time. Her personal wind wasn’t strong enough, her personal wind couldn’t stand a chance. Her personal wind didn’t know it was coming. Landing on the ground to assess the damage, she was in awe of her wings. She had pampered and nursed them back to life after a long and painful struggle. Still caught up in the moment, she tended to what seemed as a minor wound, and took off again. In the corner of her eye she was able to see the burned tips of her once perfect feathers. A surge of sadness was bestowed upon her, only because they were new and it wasn’t time for them to age just yet. Continuing along, she was able to focus in flying forward and conditioned herself to enjoy what she wasn’t able to enjoy on the ground. A gush of happiness filled her heart and she smiled. She was now dancing in the air, enjoying the moment and living vicariously through the skies. Once again, the boiling sprout of fiery air walloped and threw her astray. She felt the severity of the situation and realized that she can not and will not be able to smooth sail. Her personal wind wasn’t able to protect her from harm; for harm was everywhere and not an entity. Harm scatters itself and hits what’s in its way and she was in harm’s way. Whether it was karma that had placed her there, or fabrications of her imagination that connected things together, she was there. Enduring and struggling to steer off course from the intruding fiery wind. When she stopped for a moment in midair, she was greeted face to face with her intruder. She closed her eyes and allowed herself to feel the fiery air. She wanted to understand where it came from, feel its ruthlessness; she wanted to understand why she was in its path or possibly why it was in her path. She wanted to understand why it burned her feathers. She wanted answers, and she was ready to get burned again to understand. Her personal wind had a different make up. Her personal wind was strong, consistent and reliable. She was euphoric wallowing in her personal wind and could soar with her eyes closed. When she encountered the fiery wind, she stared it down and felt its wrath. She then came to an understanding that the make up of the fiery wind was a cultivation of previous winds that have accelerated. They were winds amongst winds that have gained momentum and exploded into a fiery manner that well suited its existence. She couldn’t blame it, for it is what it was. She now felt the fiery wind’s warmth, rather than its burn. She now sympathized with it instead of despising it. She was thankful for the fiery wind, after all, had it not been for a few burnt feathers she wouldn’t have been able to land and tend to her personal wounds. Oddly enough, she knew all along that she got burned because she wasn’t fully recovered, and flight was a risk she had taken. Back on the ground, she looks up and sees her personal wind from time to time. She feels it only on rare occasions. She knows it’s up there fidgeting to be free, soaring and testing its capabilities. She knows that when she’s light enough and her personal wind is strong enough, they will once again fly.